Since last you heard from us we were still in sunny South Africa enjoying 100F and long summer days. Since then we’ve travelled halfway across the world, enjoyed four beautiful American states, and saw a bunch of old and new friends. First up was the Dallas Safari Club show in Dallas, Texas. Over the course of the past 10 years the DSC show has become one of the greatest shows on circuit, and one of our favorite. With our good friends, the Posey family providing a strong support base in Dallas, its hard not to enjoy Texas! 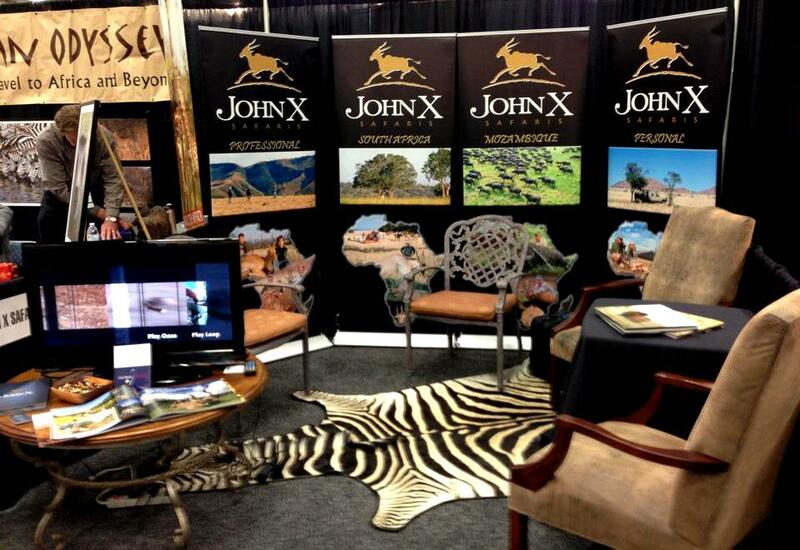 The John X booth in Dallas – ready and welcoming! From Dallas we headed to a cold Salt Lake City. Staying with Bwana Big Jim Smith we explored southern Utah, scouting for late season Mule Deer and Elk, hoping to capture some wildlife on camera. We enjoyed another pleasant evening with Chris and Colet Ashcroft, hosting a fun evening in their trophy room, catching up to past and future John X hunters. 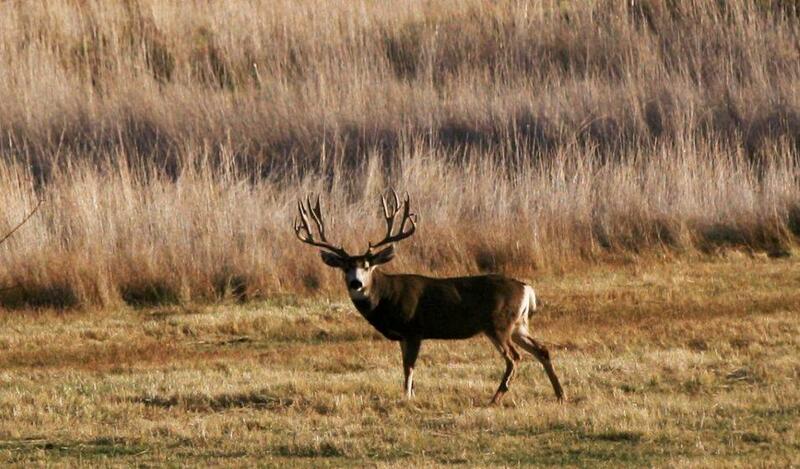 It seems our 2014 groups are growing by the day! Next up we headed to a freezing Bismarck, North Dakota. While Utah was cold, North Dakota took freezing to the next level, for at least this African. Visiting with Dave and Linda Kjelstrup, we were treated to the country life on their ranch. Being a country boy myself, I truly enjoyed the experience. Seeing how ranches get run in a 1st world country always amazes us. At present we find ourselves in Omaha, Nebraska, gearing up for a busy week of cocktail parties, pheasant hunting, dinner meetings, and much, much more. Below is a quick reminder of our remaining 2013 Show and Travel Schedule. If you or any of your friends are interested in meeting with us, please drop us a line, we’d be glad to fit you or them into our schedule. Omaha – Nebraska stop over: 14-19 January 2013 – COCKTAIL EVENING, Kearney 16 January.